A weak system will develop tonight and fall apart just as fast tomorrow morning. In the height of this disturbance a general area of 2-4" will fall with up to 5" in some spots and only an 1" around the heaviest band of snow. Most of the snow will fall overnight, making for a dicey commute for the morning in some spots, while other areas will not see a flake. Areas that see clear skies will see the temperature drop like a rock, while the snow will act as a blanket to keep the atmosphere warm. 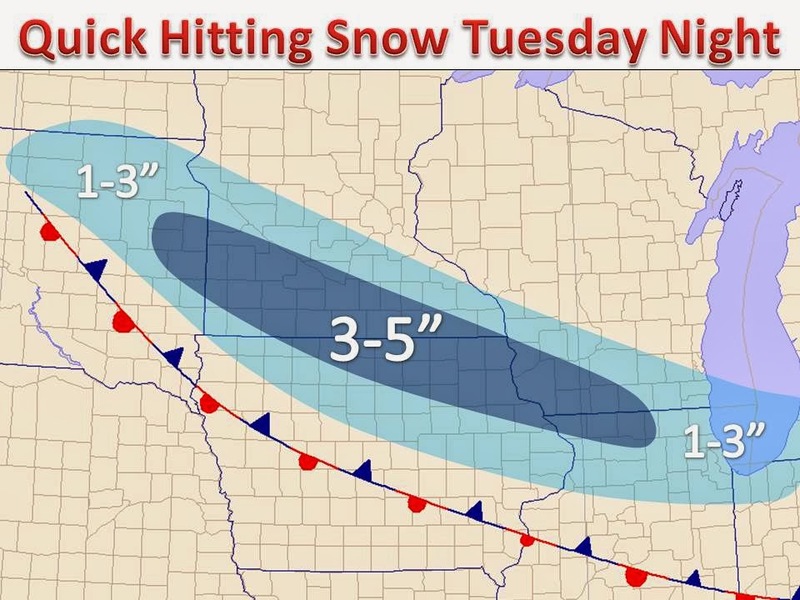 Heavy March Snow on the Way, Anyone Surprised?